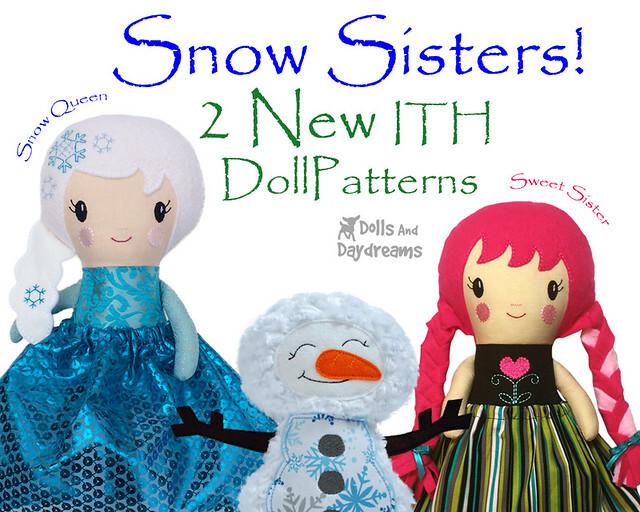 NEW ITH Snow Sisters - 2 NEW ITH Doll Patterns to make Frozen Friends with! Hooray hooray! My ITH Snow Sisters doll patterns have come to play! * Fast - make a basic doll in about an hour! WOW! * High Quality & customizable! * 90% of doll (body & limbs) constructed within 2 Hoops. Pick up the play set here, Or buy them individually! And don't forget their cute fluffy snowman friend Here!